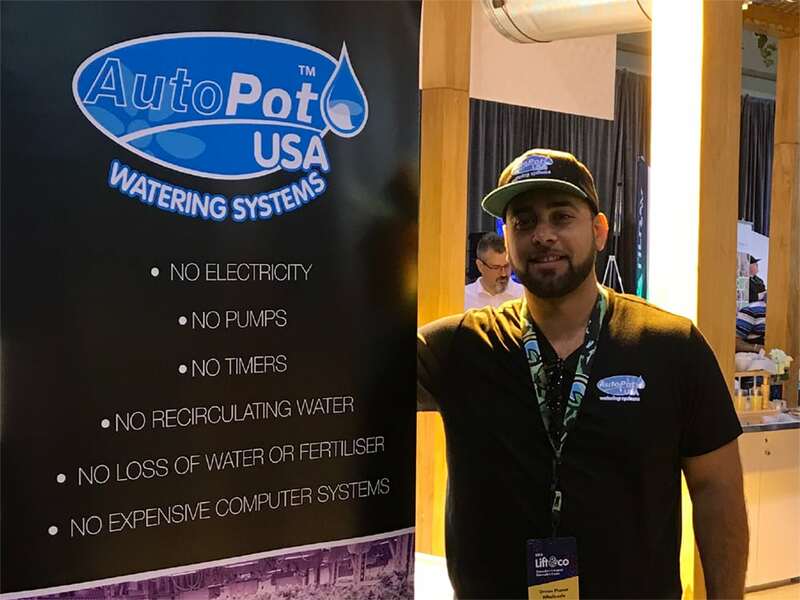 Manny Pelaez of AutoPot USA has shoehorned a staggering amount of visits, training and exhibition into the last month. In order to pack in as much as possible Manny started by flying to B.C. (British Columbia, not Before Christ – time was of the essence but an extra 2018 years would’ve been excessive). Doing the Vancouver-ing may have been first on Manny’s list but it by no means a chore. His was the honour of visiting Green Planet, one of our Canadian AutoPot distributors, in order to administer some product training to their very friendly and engaging staff. Delighted to say that Green Planet brought in a full team of employees drawn from across all departments. Manny enjoyed a hugely productive Q&A session in the company’s beautiful Pacific North West (PNW) Garden Supplies Showroom adjacent to Green Planet HQ. Green Planet operate on the very positive ethos of offering their customers exactly what they need, nothing more and nothing less. Hence it’s enormously gratifying that they are such big AutoPot fans and seem firmly to believe that our watering systems are a good fit for both their honest company values and the demands of their customers. With the Green Planet staff sated with knowledge Manny took a tour of Vancouver stores with Green Planet co-owner Justin Cooper. A very welcoming reception awaited on the tour, our 4Pot System continues to blaze a trail in Green Planet’s proprietary PNW Garden Supplies stores and the stores of other AutoPot stockists in the area. 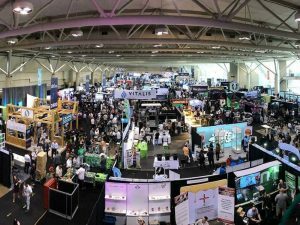 Soaring eastwards Manny’s next stop was Toronto and Lift Expo 2018. Lift is an immense event and the biggest of its kind in Canada with a correspondingly HUGE turnout. This years instalment always promised to be unmissable with the levels of business acumen and innovation on show combining tantalisingly with the seminal changes afoot in Canadian legislation, and so it proved. 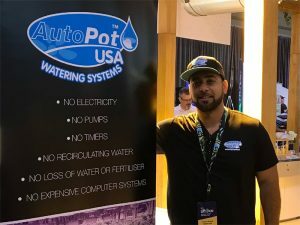 Safe to say It went pretty well for AutoPot and thanks to Manny and our distributors we got some superb exposure in the Canadian marketplace at a key moment. Flitting over to Montreal, as one does, Manny visited our other Canadian distributor BioFloral. From the fundamental techniques to advanced applications Manny took the whole team there through the entire AutoPot range of growing options. Once again our sincere thanks for bringing everyone in on training. It’s so good to get the whole organisation versed and really encouraging to see the level of enthusiasm from our distributors when we’re out on the road – our reps run on that stuff! Manny was most impressed with BioFloral’s operations, their Health Canada Approved Stockist status and the close relationships the company cultivate with their customers. A splendid guided tour of the local stores ensued in the days thereafter in the excellent company of BioFloral rep Jimmy. 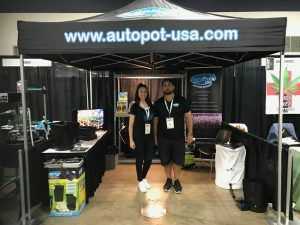 Still undiminished Manny powered south to Detroit for CannaCon where AutoPot USA received the masses in their very stylish 10’x10’ booth. Principle amongst the attendees were a good number of commercial growers that will shortly be receiving their licenses to grow in Michigan – an exciting time to be alive! It’s no secret that the Michigan area has been through tough times economically but the visionary work of the organisers, exhibitors and attendees at CannaCon Detroit demonstrates that new and fresh thinking can be a genuine route to a more promising, prosperous future. Indefatigable, Manny traversed Traverse City and popped into a few stores whilst he was at it. Personal victory came in HTG Supply where Manny ticked off the last in this US chain he had yet to visit. Great chat with Ryan and the guys in-store who amongst other things were most impressed by the ultra versatile easy2GO with it’s massive range of potential applications. Manny reports Grow Store was a premises par excellence with a spacious set up big enough for two Kyles (there are two guys called Kyle who work there). They loved the XL SmartPot module and are looking to set up an in-store demonstration model. 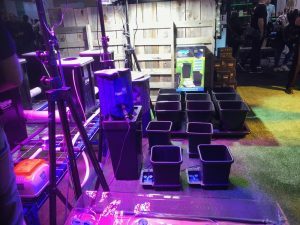 Fast facts and new AutoPot love from Cultivation Station who opened Manny’s eyes to the fact Traverse City suffers power outages that massively hinder growers who draw from the grid – enter AutoPot, the power free alternative! Hungry yet? 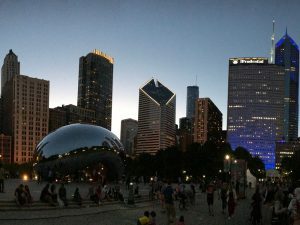 Manny was so he alighted in Chicago to visit Chef’s Blend whose mouth watering custom seasoning and sauces are grown in our watering systems. Amen to that! And then home.